Gain the knowledge and skills you need to give medication safely under the supervision of licensed health care providers. 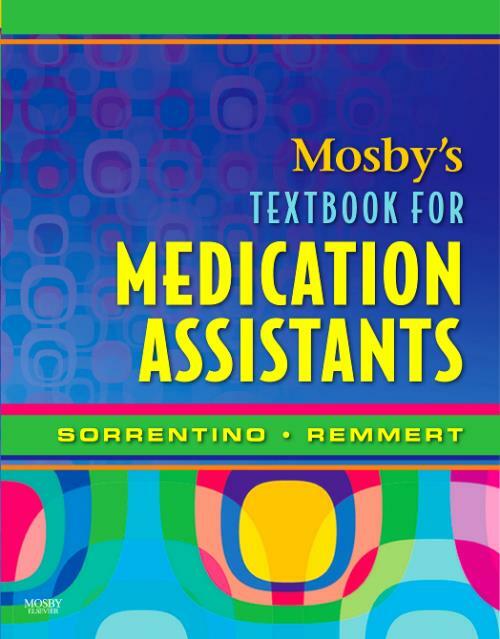 This thorough and complete text covers all of the basic principles and techniques of medication administration. It also provides an overview of common drugs, their effects and side effects, and key safety issues that include medication interactions, common errors, over-the-counter medications, and medication use in older adults. The material is accurate, easy to read, and packed with tips to prepare you for success. Sorrentino, Sheila A. Curriculum and Health Care Consultant, Anthem, AZ.